Giddy Up, Cowgirl, and Git Yer Denim Paisley On! Custom Fabric You Can Personalize… How Cool is That? 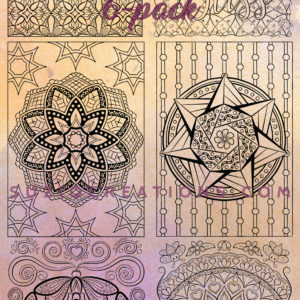 May I print extra coloring pages for my friends? May I print extra copies of coloring pages to distribute to patrons in a healthcare facility or educational institution? 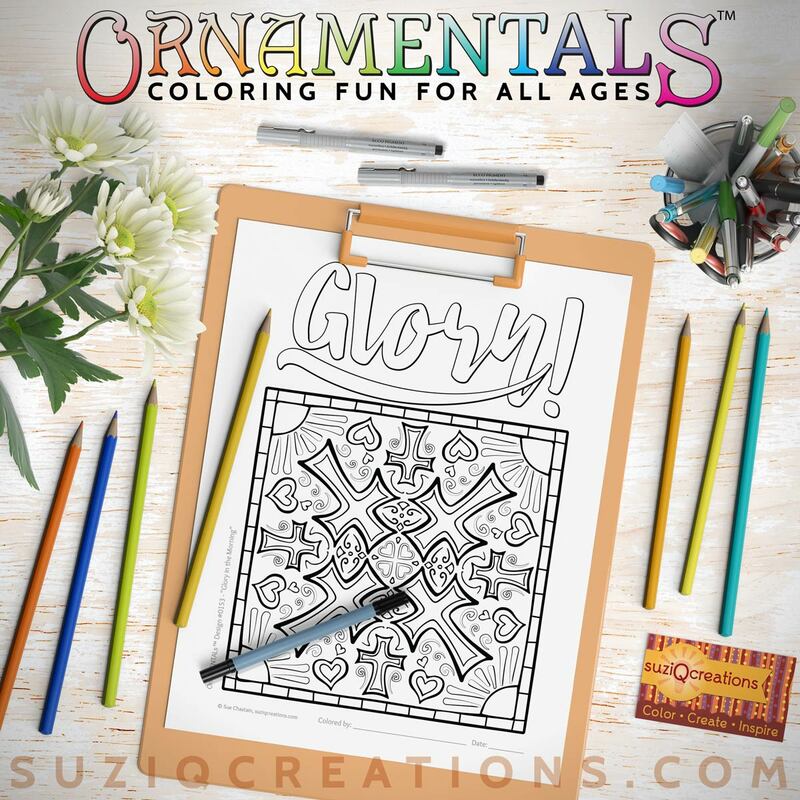 May I use a coloring page as a logo? Or my I use your coloring pages in my business? 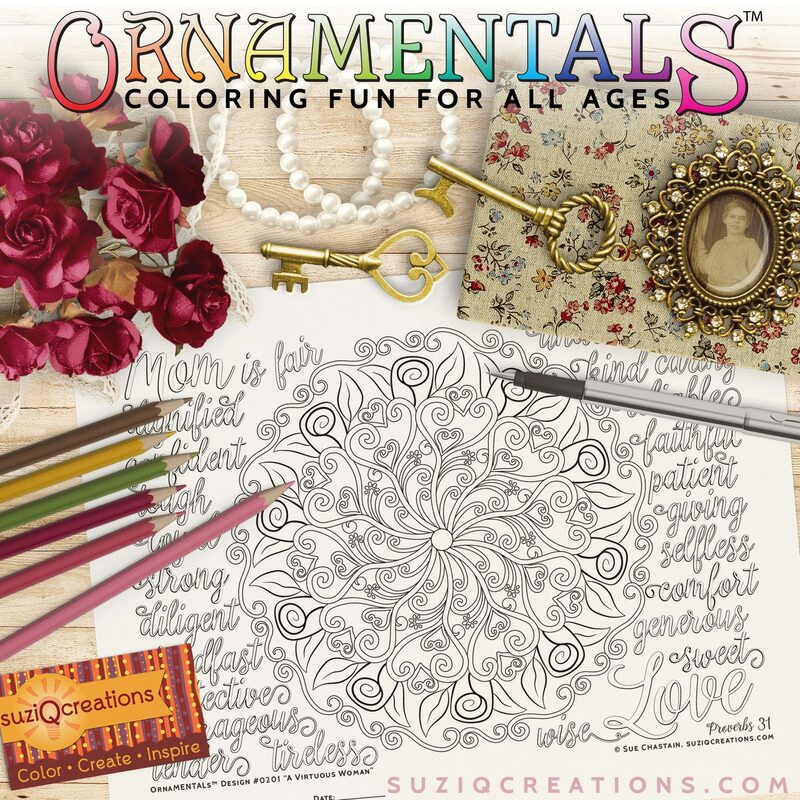 Can I sell OrnaMENTALs coloring pages after I have colored them? May I upload OrnaMENTALs™ to a print-on-demand site? How can I upload my colored pages to show you and the community? 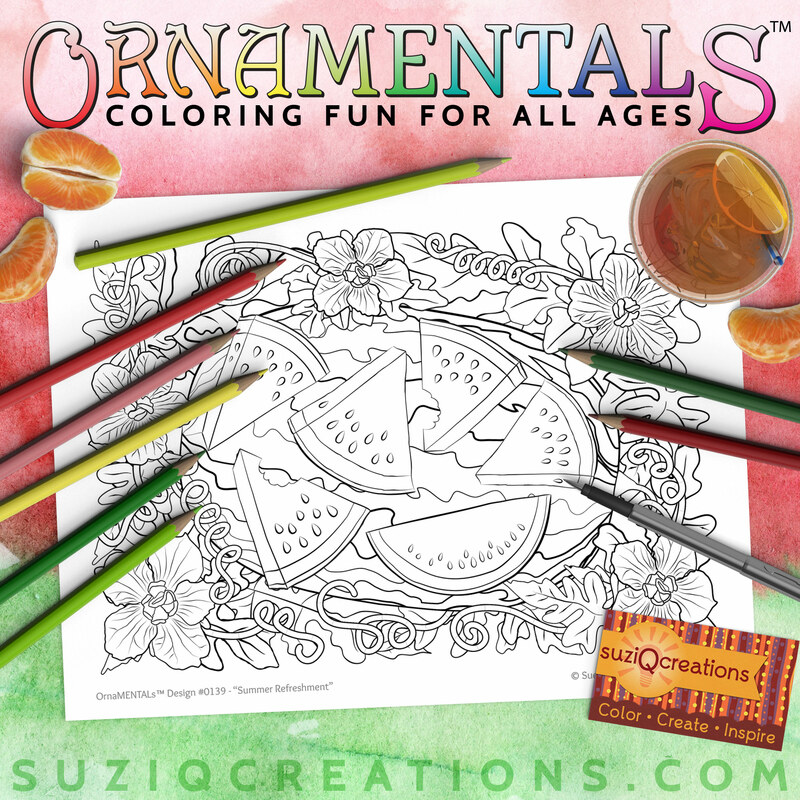 How do you send coloring pages? What are all these extra files? When I checkout, there is a box for a coupon code. Where can I get one? What is “Pay-What-You-Want” pricing and why do you use it? How do I download digital items after I have paid? How can I use the color schemes on this site? What does the coloring difficulty ranking mean? What can I use to open and print your PDF files? What is Zazzle? Why Zazzle? My shopping cart totals $0. Why do I have to go through checkout? How can I test the files for compatibility before purchasing? What is a Zip file? How do I access the files I downloaded? How do I save images from the popup screen? Can I modify layer styles for different-sized objects? What version of Photoshop is needed for the presets on SuziQ Creations? How Can I See Thumbnails for SVG Files in Windows? How do I Install Photoshop Presets?